﻿ Scolari: "Cristiano Ronaldo is not a metro-sexual. 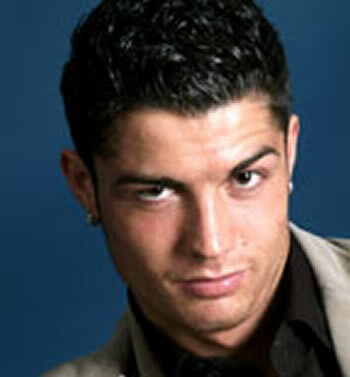 He is a ladies man"
13.10.2011 » Scolari: "Cristiano Ronaldo is not a metro-sexual. He is a ladies man"
Earlier this week, Luiz Felipe Scolari granted an interview to a Brazilian show called "Kajuru Pergunta", and defended Cristiano Ronaldo from media gossips regarding his alleged metro-sexual status. Scolari says that it's quite the opposite, since Cristiano Ronaldo is truly a ladies man. At some point of the interview, after analysing Scolari's adventure in Chelsea FC, the reporter asked the Brazilian coach if there's any truth in those rumors being spread by some magazines, stating that Cristiano Ronaldo is metro-sexual and that he's just acting all the time by pretending to be someone else. Scolari had a laugh and replied immediatly, disproving everything that could point Cristiano Ronaldo as being gay or metro-sexual. Ronaldo is said to have his wedding scheduled for next Summer, with Irina Shayk, just after the Euro 2012. Scolari: "It's all lies from the press. It's actually the opposite, since what he really is is a true ladies man ("comedor" in Brazilian), and people just get jealous of him." The reporter had an immediate hysterical laughter, just before asking if Ronaldo is really a sort of Casanova or womanizer ("matador" in Brazilian). Scolari kept on: "People simply envy him. Ronaldo has 1,87m (6.1 feet) and he is good looking, so that just leads to people being jealous of him..."
An interest revelation came just after, as the reporter asked Scolari if Cristiano Ronaldo is really that good of a player and if he could play for Brazil as a starter, if he actually was Brazilian. Scolari: "He plays tremendously well. He's really good. If I were the Brazilian National Team coach Cristiano Ronaldo would be on the line-up, beyond any doubt! Besides being a terrific player, Ronaldo is very dedicated and gives everything he has in training. Scolari: "Those new dribbling skills we often see Cristiano Ronaldo doing, don't happen by accident or by improvisation. He trains hard, he repeats drills and exercises over and over and he's stubborn until he perfects his tricks and moves. Sometimes we really have to tell him to stop practising! ", added "Felipão", who coexisted with Cristiano Ronaldo in the Portuguese National Team between 2003 and 2008. Before finishing sharing his insights on Cristiano Ronaldo, Scolari was finally asked about what seems to be more of an existential question these days, rather than a football curisosity. Who is the best player: Lionel Messi or Cristiano Ronaldo? Scolari: "Messi has a different style... What would be nice was to have Ronaldo and Messi in the same team! But I think that at this moment, Messi is the best player in the World". To conclude and regarding Neymar, Scolari said that if the Brazilian prodigious player doesn't come to Europe, he'll never have the chance to become the best player in the World by continuing to play in Brazil. Cristiano Ronaldo is already in Madrid and despite not having stepped to the field in the first practice session since he arrived, CR7 is still expected to be on the line-up against Betis. You may watch Real Madrid vs Betis free streams this Saturday, in our Football Live Streams section. The countdown clock timer, displaying the time left for the next Ronaldo game, is shown on the top right corner of all pages. Next Saturday, the Premier League also returns and you can follow Liverpool vs Manchester United streaming, as well as Barcelona vs Racing Santander free. All streamings are provided from our "Live" section.